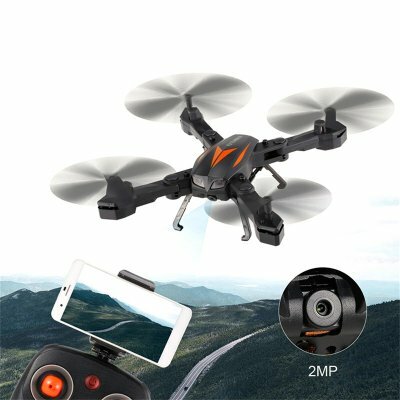 Successfully Added Florld F12-W Camera Drone - 2MP Camera, WiFi, FPV, App Support, Air Pressure Altitude Hold, Headless Mode, Remote Controller to your Shopping Cart. Discover your surroundings like never before with the Florld F12-W foldable camera drone. This compact RC drone weights less than 100 grams and is extremely small in size. Thanks to this, it is easy to carry along and fly through the skies anywhere you’re at. The mini drone is suitable for both indoor and outdoor flying. With its 6-axis gyro, it delivers a smooth and controlled flying experience in any environment. The drone itself furthermore comes with a large remote control which allows you to keep easy control of your drone. 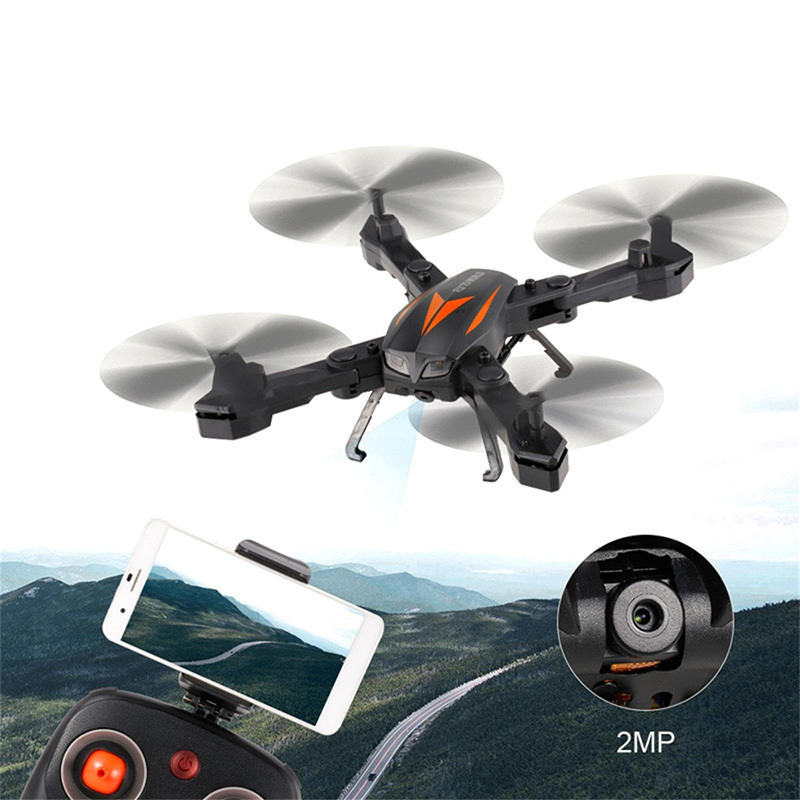 This mini camera drone is the perfect gizmo for both advanced pilots as well as first-time drone enthusiasts. Through its WiFi connectivity, this RC drone can be used together with your smartphone or tablet. The dedicated mobile application supports both iOS and Android. Once synchronized, you’ll be able to enjoy FPV straight off your phone’s display and undergo a first-person pilot experience. With its 50m FPV range, this mini drone truly lets you discover your surroundings in a way you have never experienced before. Thanks to its lightweight yet powerful 500mAh battery, you’ll be able to enjoy up to 7 minutes of flying time on a single charge. The 2MP intergraded camera that can be found in this RC drone lets you shoot nice pictures and crisp HD video from above. This allows you to take recordings of your surroundings, upcoming sports events, or to take beautiful nature shots. The drone itself supports different flying modes to meet all your needs. Additionally, it comes with an air pressure sensor that supports altitude hold and it furthermore features a one key return to home button. No matter how skilled you are, this mini camera drone is sure to bring along hours’ worth of fun and joy. This drone comes with a 12 months warranty, brought to you by the leader in electronic devices as well as wholesale electronic gadgets..